While sleep apnea, or disordered breathing during sleep, is one of the most commonly encountered sleep problems seen, there are several other sleep-related disorders that patients typically suffer from. While Dr. Phillips is a board certified Ear, Nose & Throat surgeon who specializes in the medical and surgical treatment of snoring and sleep apnea, he is also board certified and trained in Sleep Medicine, a discipline that covers the diagnosis and treatment of all sleep disorders. It is not uncommon that a person will have multiple issues with their sleep and ability to stay awake during the day. 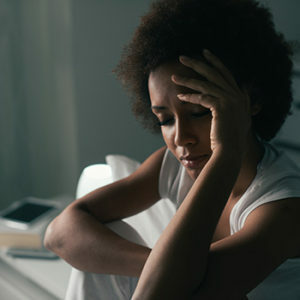 Insomnia is a general term that refers to difficulty falling or staying asleep at night, usually leading to poor sleep and resulting daytime sleepiness. Almost everyone experiences insomnia at some point in their lifetime, and trouble sleeping may be due to a wide variety of reasons. Issues with setting regular bedtimes or sleep behaviors, anxiety related to sleep, issues with “mind-racing” at night, depression, hormonal changes, and various medications can each contribute to sleeping difficulties. Dr. Phillips may help determine which issues may be causing your difficulty with falling or staying asleep at night. He will work with you to find a solution to help improve your overall ability to sleep. This may include behavioral techniques, relaxation, changes in sleep hygiene or medications. Rarely, a person will report feeling very sleepy throughout the day, despite getting over 7-8 hours of continuous sleep at night. Other symptoms, including loss of motor control during the day with excitement (cataplexy), sudden urges to fall asleep during the day (sleep attacks), hallucinations when falling asleep or waking up, or a feeling of being unable to move one’s body when awakening (sleep paralysis), may be signs suggesting a disorder called narcolepsy. This is a disorder of the body’s sleep-wake mechanisms, and causes an intrusion of REM (rapid-eye movement) sleep into daytime activities, and further disrupts normal sleeping at night. Some patients with sleep apnea may also have persistent daytime sleepiness, despite adequate treatment of their sleep apnea. Dr. Phillips may help identify these disorders and treat them appropriately to help improve daytime functioning and nighttime sleep. Most people have experienced a disruption in their normal sleep after traveling long distances by airplane, due to rapid changes in time zones. This phenomenon, called “jet lag”, is one common example of a circadian rhythm disorder, which is a disorder of the sleep-wake cycle, set by the body’s normal internal rhythms. It is also very common to see teenagers falling asleep very late at night, and having to wake up very early in the morning for school, causing daytime sleepiness and poor functioning in class. This may be due to delayed sleep phase syndrome, another common disorder. Finally, night shift workers, or workers that have shifts that change throughout the week or month experience difficulties in setting a normal sleep-wake rhythm, due to the demands of their job. Dr. Phillips may be able to help improve sleep and daytime functioning in patients with these disorders. While many people may experience irritation in their legs at nighttime, including leg cramping, jerking movements of the legs in the middle of the night, or spasms, restless legs syndrome (RLS) is a disorder that is described by a sudden urge to move the legs, which occurs during the evening or at bedtime, which is relieved by moving the legs or walking around. This can occur at all ages, and may be related to a deficiency in iron, in some cases. The leg disturbance can cause problems falling asleep, and, when treated can lead to better sleep and improved daytime functioning. Strange behaviors that occur during sleep may range from very benign and common (ie: sleep-talking, nightmares), to potentially bothersome and harmful (grinding teeth at night, or “bruxism”), to possibly dangerous to self or others (sleepwalking, REM Behavior Disorder, sleep-related eating disorder). Identifying and treating these behaviors, when appropriate, can help improve sleep and reduce risk to a person’s health.